We are the experts when it comes to FUSO truck and bus parts. Our dedicated parts specialists have the know-how and expertise to get the right part for the job in as little time as possible. We stock an extensive range of genuine FUSO truck parts for Canter, Fighter, Shogun and HD models as well as genuine FUSO bus parts for Rosa and MP300 models. If we don’t have it in stock, we can get almost any FUSO spare parts onsite overnight – or in some cases even in the same day. 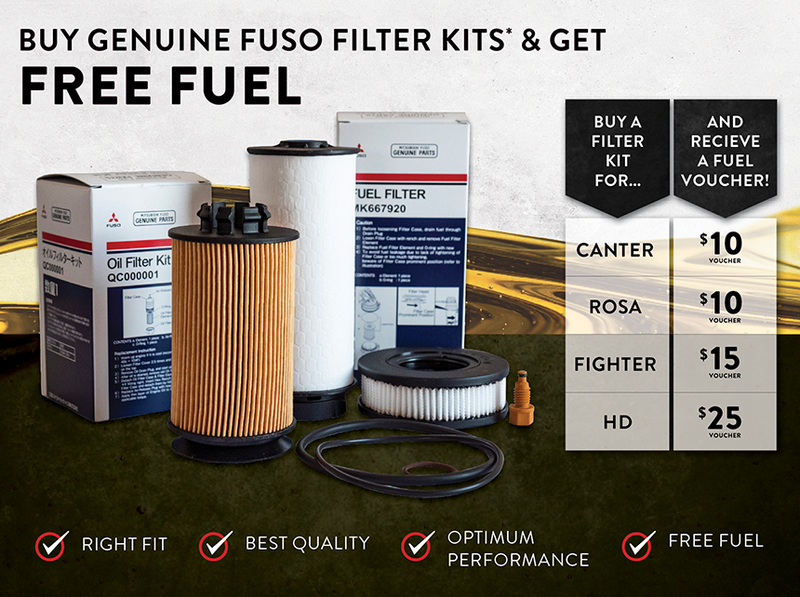 From 1 January to 31 March, Fuso NZ is giving away complimentary fuel vouchers for every Genuine FUSO filter kit purchased. The value of the fuel voucher will be determined by the type of filter kit purchased. 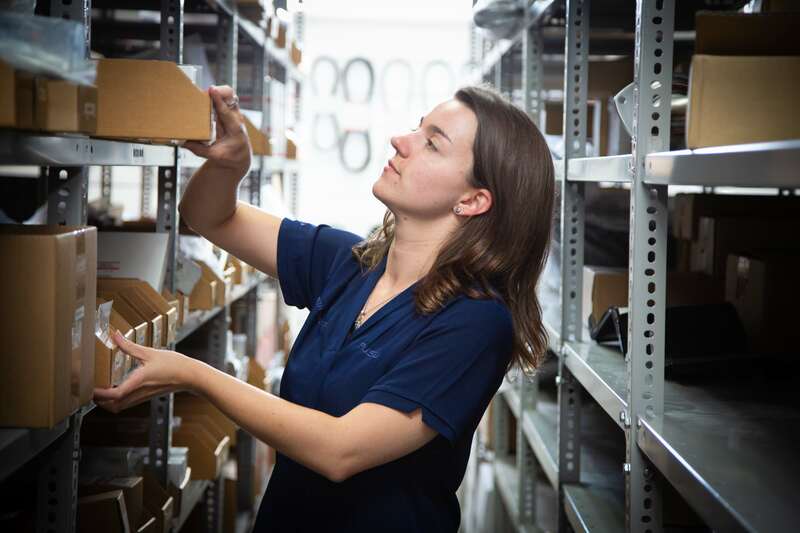 Fuso NZ holds more than 10,000 unique parts lines in stock. Genuine FUSO parts offer a better return on your investment, delivering quality and durability to maximise the time your truck spends on the road. Original equipment backed by 24-month warranty** when parts are installed by an authorised FUSO dealer. Contact us today to enquire, or make a booking with one of our Certified FUSO Service Technicians – highly trained professionals who know your truck or bus better than anyone. *Actual products may differ from images shown. This offer is for parts only, labour is excluded. 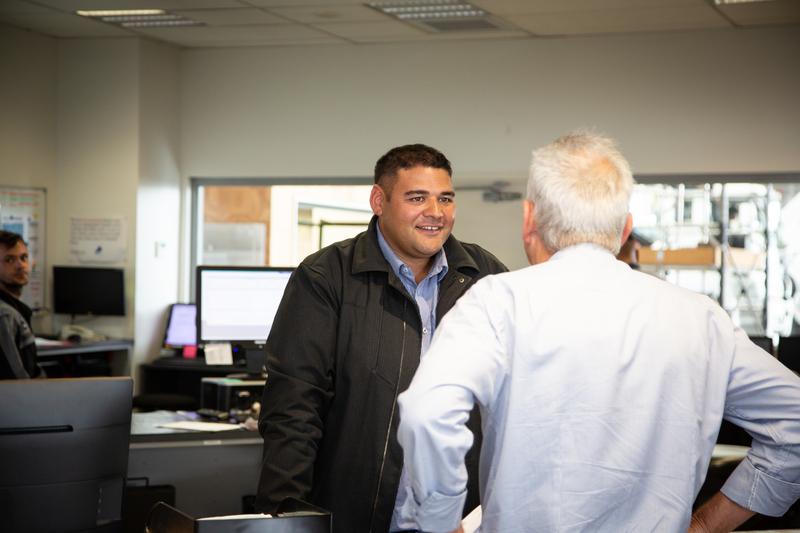 Fuel vouchers will be issued by Fuso NZ in the form of BP fuel gift cards and are to be obtained by submitting redemption form and invoice to admin@fuso.co.nz; these are available from authorised FUSO dealers. Valid 1 January through 31 March, or while stocks last. **24-month unlimited km warranty applicable when parts are installed by an authorised FUSO dealer. Parts installed by anyone other than an authorised FUSO dealer carry a 12-month unlimited km warranty. Looking for new or used FUSO genuine parts? Contact our specialists today for FUSO Canter parts, FUSO Fighter parts, FUSO HD parts and FUSO Rosa parts. Please contact us today.